It is one of the most interesting cities on the Istrian peninsula. In the city you will find ruins of Roman buildings, Venetian palaces and the basilica of St. Euphrasius built at the turn of the V-VI century. Is the largest town on the Istrian peninsula, located right on the Adriatic Sea on the south-western edge of the peninsula. 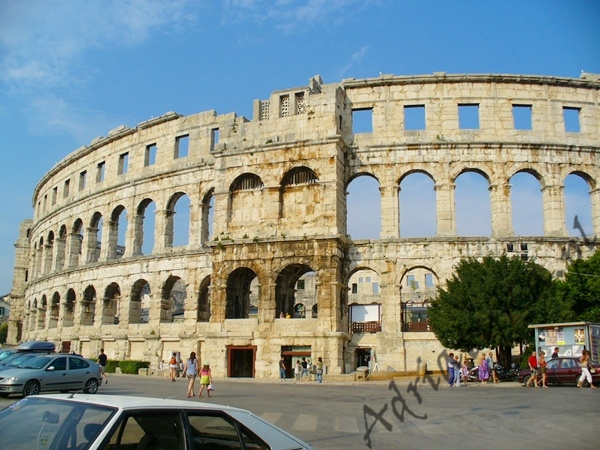 The biggest attraction and at the same time most valuable monument is Pula Amphitheatre from the first century, which was built by Roman emperor Vespasian. It is one of the best preserved Roman amphitheatres in the world. Also worth visiting are: the Roman forum, the temple of Augustus from the first century, the castle of the sixteenth century, the chapel of Santa Maria Formosa, Hercules gate, and Arch of Sergius from the first century. Plitvice Lakes National Park is the most famous Croatian national park and it is on the UNESCO World Heritage List. It is a favourite destination of many tourists because it is one of the most beautiful natural areas in Europe. The park has 16 transparent and emerald green lakes. The lakes are linked by a series of rivers, canals, cascades, waterfalls and small streams over which are bridges and bridges with ropes which are human built. Being in Northern Dalmatia you must visit the city of Zadar. In Zadar between the historic city walls and gates we can find a lot of interesting places, cafes, restaurants, several churches and museums. It is also interesting to visit the church St. Donat from ninth century and St. Vitus Cathedral, St Anastasia from the turn of the twelfth and thirteenth centuries. We also recommend visiting the vault in the church of St. Francis also the archaeological museum, national and sea. Visiting Zadar it’s impossible to not visit located quite close to the Kornati archipelago. It is a paradise for divers. Park has about 140 islands; most of them are uninhabited and barren. They create ideal conditions for sailing and swimming. It is a city in northern Dalmatia which is very valuable and well-known for the St. Jacob Cathedral from the fifteenth century, which is on the UNESCO World Heritage List. Also there’s a big local market where you can buy souvenirs and many regional specialities. The old part of town is situated an island. 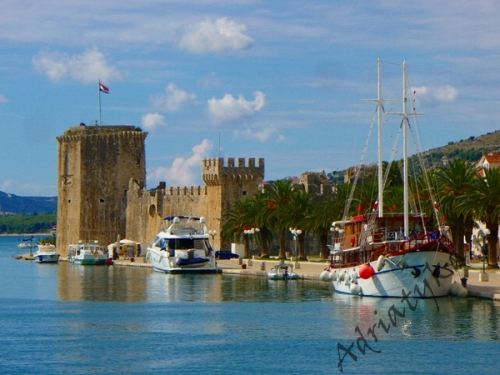 Trogir has an extremely rich history. Trogir’s Old Town is a perfect example of a medieval urban layout. Installation is compact and full of narrow, winding streets, churches, palaces and stone houses. Worth a visit is the home of St. Lawrence, who is considered the most beautiful Renaissance monument in the region. From the church tower there's a beautiful view of the entire city. The scenic picture is completed by the remains of mighty defensive walls and wide, palm-lined promenade, at which cruise ships dock and luxury boats. Old town of Trogir is entered since 1997 and it is listed on the list of World Cultural and Natural Heritage. It is a tourist and cultural center of Central Dalmatia and at the same time the second largest city of Croatia. In the old town there are remains of Roman Diocletian's Palace which was built by the Emperor Diocletian in the early fourth century. This palace is on the UNESCO World Cultural and Natural Heritage. Every year many tourists come here from different parts of the world who visit the monuments and architecture of the city. On the north side of the old town is a statue of Bishop Gregory of Nin. Being in Split you must see the St.Dominica market In Split you can also see the large outflow port from which ferries depart to Italy and the islands of Hvar, Solta and Brac. This is a small town located in central Dalmatia roughly halfway between Spit and Makarska. Omis is beautifully situated at the mouth of the river Cetina. In the Middle Ages it was the home of the most feared pirate on the Adriatic. The most important attractions are big and wide sandy beaches, the beautiful river Cetina and its canyon, restaurants, wine cellars and cafes. For those who enjoy an active holiday Omis offers rafting on the river Cetina, mountain climbing, scuba diving and fishing. Large city located in the southern Dalmatia and at the same time the largest rest destination on the Makarska Riviera. The biggest attractions in the city include two coastal boulevards where large palm trees grow. The night hours are crowded boulevards and all the restaurants, cafes, bars and boutiques are full of tourists and holidaymakers. To undoubtedly interesting attractions include the large pebble beach, with its many shops and fast food outlets. In Makarska there is a large marina (harbour sailing), to which wrap large cruise ships, yachts, catamarans and beautiful luxury motorboat. 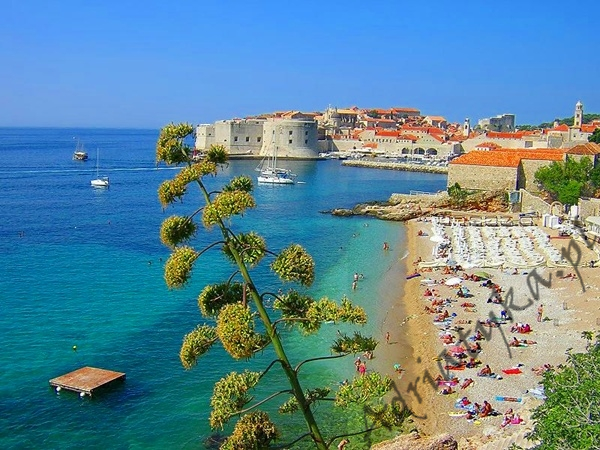 Dubrovnik is the most beautiful city in southern Dalmatia and also the capital of the region. Dubrovnik is called the "Pearl of the Adriatic" and is very popular with tourists thanks to the old city from the middle Ages. The city is preserved in very good condition and is surrounded by powerful, with a length of 1,940 meters, stone walls. With countless historical monuments, the city was inscribed on the UNESCO World Heritage list. During the summer in the old part of Dubrovnik there are varieties of different tourist events.